I can never get enough of wonderful series books! I was excited to get Maisy at the Beach: A Maisy Sticker Books by Lucy Cousins from Candlewick Press to review. I realized I couldn't just talk about this singular book because all the Maisy books are fun! 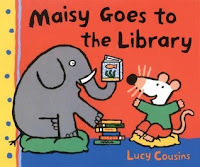 Lucy Cousins' Maisy series is full of colorful picture books about Maisy Mouse and her friends. 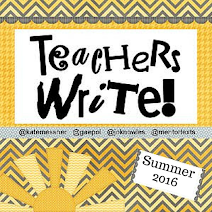 They go to the library, on vacation, camping, and even the beach - and that's just getting started! 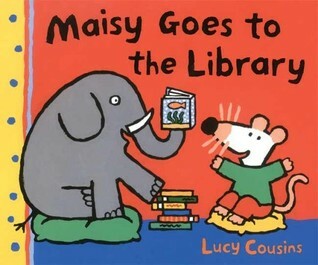 I love how kids can learn about Maisy's everyday-adventures through these books. 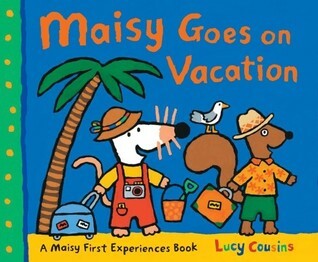 Cousins has over 21 million book in print and Maisy even stars in her own TV show. It's hard not to smile when you see the vibrant illustrations and Maisy's smiling face. The Maisy books are perfect for preschool- and kindergarten-age students. 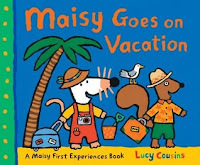 The text narrates a play-by-play of Maisy's experiences for readers to join in on Maisy's fun. 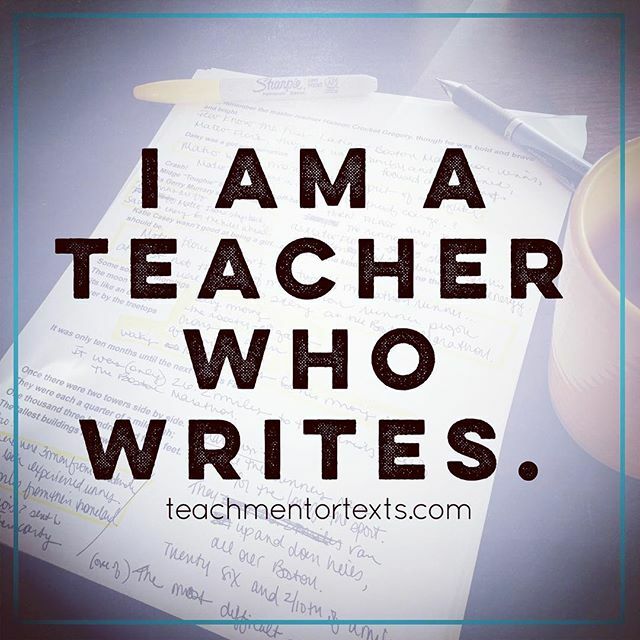 Because the books span so many different topics, they are perfect to read before or after kids get to partake in their own Maisy-like adventure. 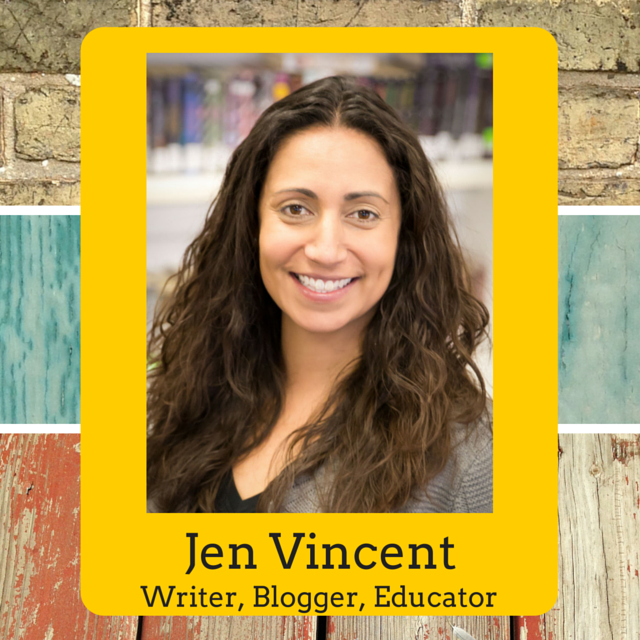 This makes these books ideal for ELLs or students with hearing loss like my students. 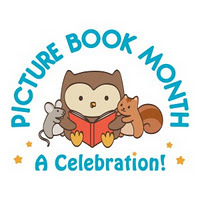 The language is clear and matches the pictures which makes them wonderful for kids to act out. 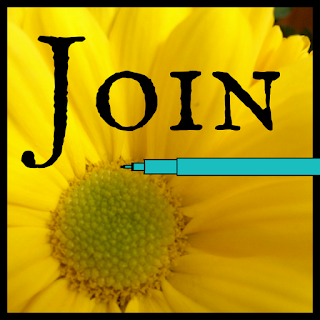 The My Friend Maisy website shares activities and ideas for more activities. Kids can also join the Maisy Fun Club where you can read books online, print coloring pages, play interactive online games and even find recipes and crafts. 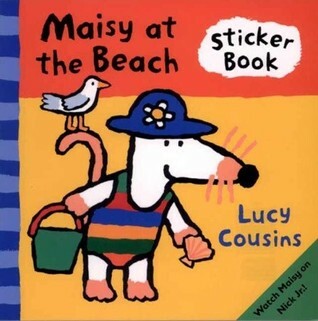 Maisy at the Beach is a sticker book that is perfect for helping kids follow directions and think closely about directional phrases. Being able to follow directions is an important skill! 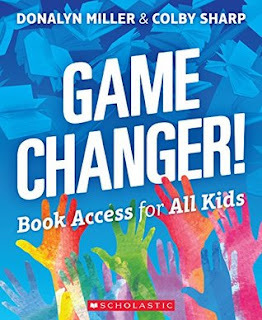 The book comes with directions that ask parents to tear out the sticker pages and put them next to the open pages of the book so kids can look at both at the same time. We have other sticker books in our house, but this book is definitely about kids interacting with the text and listening to what the text is saying. If you aren't familiar with the Maisy books, I definitely recommend them for young children and especially for kids in special education or English Language Learners. And if you know kids who love Maisy, don't forget another beloved mouse - Miss Babymouse - for when those Maisy fans get a bit older!